Mid-October through Mid-November is the peak time to plant Tulip bulbs. I always think of the I Love Lucy episode where Lucy and Betty Ramsey compete for the best tulip garden in CT, and wax flowers play into the plot. But there’s no need to fake it! Plant your bulbs now for tulips that will make your garden guests stop in their tracks for a closer look. Tulipa ‘flaming parrot’ is one of my favorites, and there are so many to choose from this year. Go to your local garden center–or go online — to find the varieties or colors that inspire you most, and add tulips to your spring garden plan! There’s nothing more welcome than the sight of a beautiful Tulip in spring after a long winter. 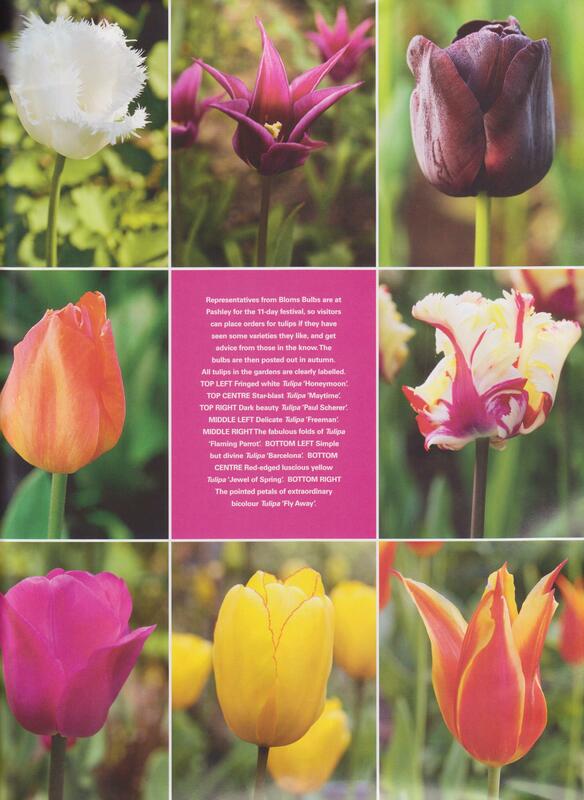 The English Garden magazine featured a wonderful variety of tulips in May 2010, photos by Marie O’Hara. A description of each flower follows. These TRAILING PANSIES are a must have for anyone with even the slightest attraction to pansies. They survive very cold temps, they trail, and they bloom from Fall to Spring. 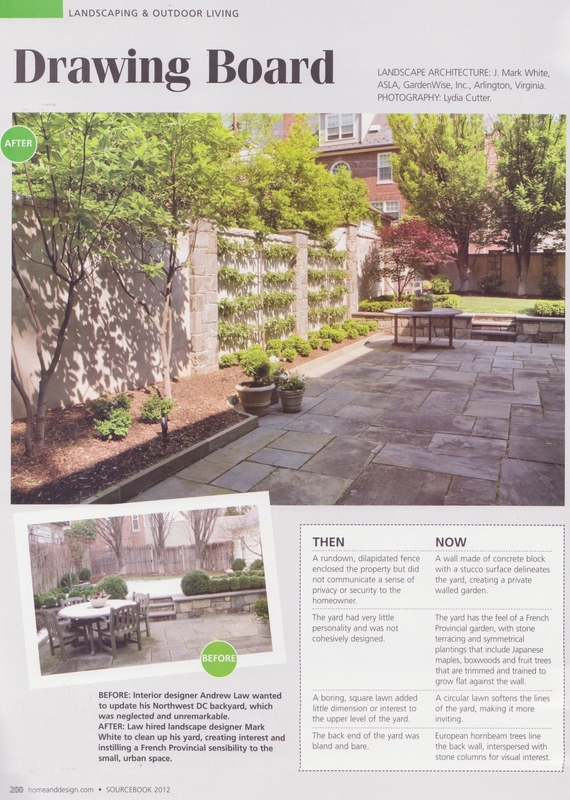 They also are an ideal choice in a setting where uniformity is important. And these hybrids are trailing, which makes them perfect for containers and hanging baskets for those seeking some fun color on a balcony or smaller space. The colors of these trailing pansies will make you smile from ear to ear — a great way to celebrate the cooler seasons when garden color may be harder to acquire. 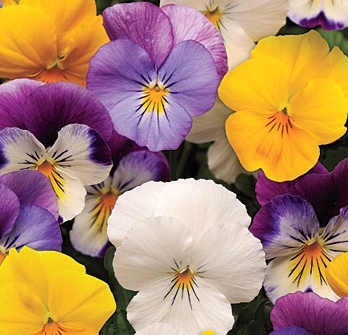 A quick trip to your local garden center is the best way to find out if these pansies are available in your area. A quick note – there’s a short post on GardenGuides.com about how to deadhead pansies, a good read. Don’t be a procrastinator! As we journey further into Fall, it’s important to get the leaves off the ground quickly and to mow your lawn until the first frost. This will keep the grass strong and healthy. 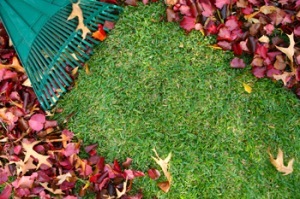 If leaves aren’t removed and remain on your lawn as they fell, they’ll deprive your lawn of important sunlight and rain that will help it stay healthy through the winter months. Also, if leaves are left on the ground, it will lead to mold and pest problems (mice, rats, etc.) because the water will get trapped in the lawn. And be sure to remove leaves from your deck — leaves that accumulate on decks can lead to algae, mildew and mold, which will cause the wood to rot. And keep in mind, leaves do not just fall on your lawn and deck — they fall in your gutters! Clean your gutters every month. Clean gutters will save you from experiencing serious problems with water around your house whether it be landscaping erosion, water in your basement or damage to wood around your roof. But be careful on that ladder, and work in pairs to be sure you don’t have any ladder accidents.